Virgin Radio Toronto (CKFM-FM) has released almost its entire on-air lineup. 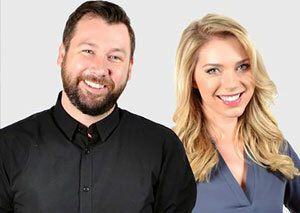 Tucker In The Morning with Maura Grierson and Andy Wilson has been cancelled after the show’s 3.5 year run. Also let go were midday host Kella Duncan, Will Nash, and Tessa. 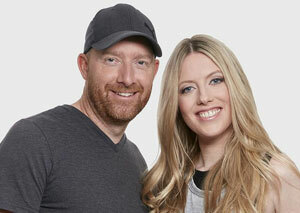 Virgin Radio Edmonton’s (CFMG-FM) morning show was also a casualty with Chelsea Bird and Ian MacKinnon let go. The duo had been hosting together since 2015. 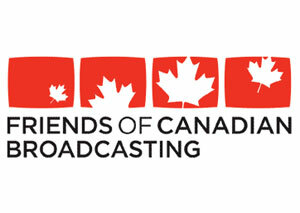 At least five staff were also affected at FLY FM (CFLY-FM) Kingston, including morning show co-host/news anchor Susan Amos, program director Jacquie Beckett, midday host/music director Lindsey Young and two sales reps. Bell Media would not confirm the number of staff eliminated and which radio and television stations were affected by Tuesday’s cuts. Scott Henderson, VP of Communications, released a statement to Broadcast Dialogue saying “The changes reflect the financial pressures facing Bell Media and the overall broadcasting sector as we confront rapid technological change and growing international competition for both viewers and advertising revenue.” Read the full story here. Lynn Colliar is stepping away from Global BC to spend more time with her family. Colliar has been an anchor and reporter with the station since 1991, starting as a feed taker. She was on the crime beat for eight years and then anchored the Morning News until the fall of 2010 when she went back to investigative reporting. Most recently, she was anchoring The Weekend Morning and Noon News with Jay Janower. Watch Janower’s on-air tribute to Colliar here. Brian Goldsmith, longtime Chief Operating Officer at Lionsgate, has signed a new long-term agreement. Goldsmith’s accomplishments over the last 15 years include overseeing the studio’s acquisitions of Starz and Summit Entertainment. 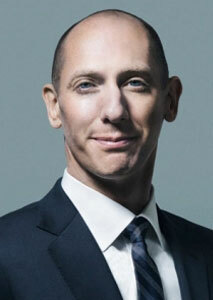 Goldsmith joined Lionsgate through the company’s 2007 acquisition of Mandate Pictures, where he served as both COO and CFO. 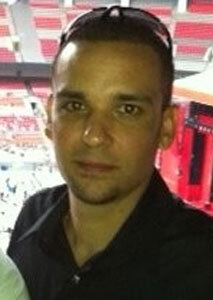 Prior to that, he worked as an analyst and strategic planner at Sony Pictures. Kelly Linehan is leaving CTV Atlantic to spend the next year with CP24 in Toronto. Linehan had been with CTV Halifax the last three years. 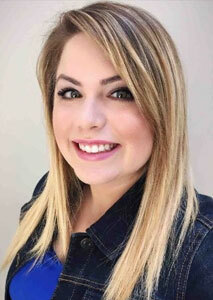 She spent the previous four years as the social media reporter at CTV Morning Live in Winnipeg and before that was an anchor and reporter at CKPG-TV Prince George. 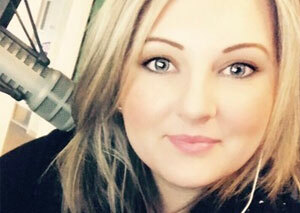 Wendy Wright has made the move from Bell Media Ottawa stations MAJIC 100 (CJMJ-FM) and 580 CFRA to Bell’s iHeartRadio station in Brockville, ON. 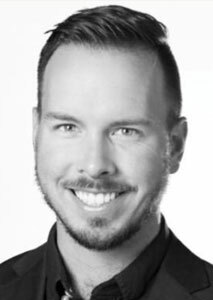 Wright is filling in as music director and afternoon drive announcer at 104.9 JRFM (CFJR-FM), while MJ Mari is off on maternity leave. 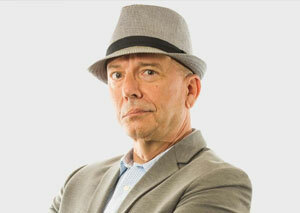 Brian Scott is retiring from 98.3 FLY FM (CFLY-FM) Kingston after a long battle with cancer. Scott’s radio career started in 1981 with stops at the original CISS-FM Toronto and Energy 1200 (CFGO-AM) Ottawa. For the last 13 years, up until this past April, he’s been hosting the FLY FM morning show despite a 2006 cancer diagnosis. In a final interview with the station on Nov. 14, Scott said the cancer has now spread to his brain, affecting his speech and energy levels. Listen here. 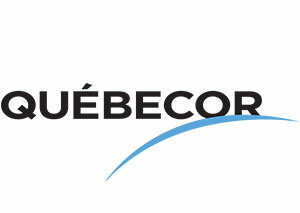 Quebecor has made four appointments leading up to the January launch of its new 360° multi-platform Advertising Network. Patricia Heckmann becomes GM, Agency Solutions and Customer Solutions, Toronto Market. Based primarily in Toronto, she’ll be responsible for developing business and Quebecor’s Toronto sales office, while continuing to oversee relationships with partner agencies in Montreal. Katia Villeneuve has been appointed GM, Customer Solutions, responsible for developing business with all Montreal customers, eliminating the distinction between local and national customers. Villeneuve will also retain her current responsibilities as Director of Regional Sales for Quebec’s Eastern Townships and Mauricie regions. Marie-Josée Fournier becomes Senior Director, Monetization and Commercialization, responsible for monetization strategies for television, radio, digital, out-of-home, magazines and newspapers. Claudia Ethier has been appointed Senior Director, Innovation and Operations, while continuing her research and commercial production role. 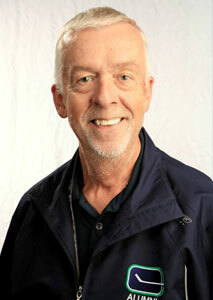 David Croal, CBC Vancouver’s Business Development Manager, has retired. 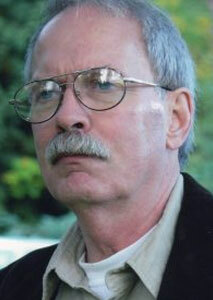 Croal moved to Gibsons, BC in 1979 to work on The Beachcombers and never left. Between stints in operations and other departments with the CBC, David has worked in property management and the freelance film and commercial industry. He now serves as a councillor for the Town of Gibsons. Steve Berry is leaving CBC Nova Scotia for a new opportunity. Berry started with CBC Halifax in 2010 as a camera operator and has been a VJ for the last two years. 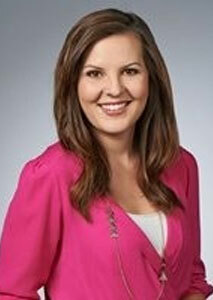 Amanda Wawryk will join John Ackermann as co-anchor on the News 1130 (CKWX-AM) morning show, starting in January. 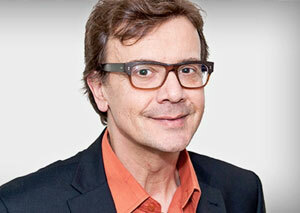 Wawryk has been with News 1130 since 2007, most recently as afternoon co-anchor. 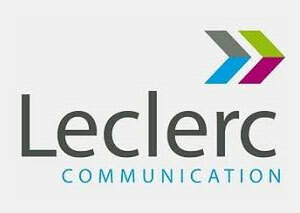 Leclerc Communication is asking the CRTC for approval to buy French-language commercial stations CHOI-FM and CKLX-FM Montreal from RNC Media for $19 million, but wants to drop the sports talk format of 91,9 Sports (CKLX-FM) and flip the station to the existing pop music format heard on its WKND station in Quebec City. The applications will be considered at a hearing in Quebec City on Feb. 20. 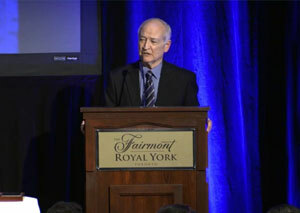 Sports Media Canada has honoured longtime Toronto Blue Jays play-by-play announcer Jerry Howarth with a Career Achievement Award. Howarth started his career in 1974 calling games for the Tacoma Twins of the Pacific Coast League. He joined the Blue Jays in 1981, broadcasting more than 7,500 ball games over 36 years. He retired this past February due to health problems that were affecting his voice. Howarth was honoured by the Canadian Baseball Hall of Fame in 2012 with the Jack Graney Award for lifetime contributions to baseball in Canada. The Vancouver Canucks paid tribute to late P.A. announcer John Ashbridge during its Hockey Fights Cancer event Monday night. 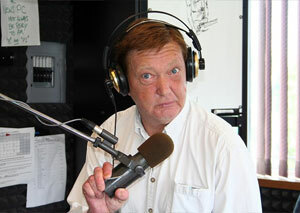 Ashbridge, who was also a longtime anchor at CKNW-AM Vancouver, passed away in June at the age of 71. Watch the tribute here. 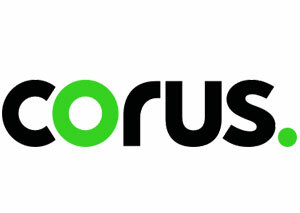 Corus Radio stations have been making the flip to Christmas music. 92.5 The ‘CHUCK! (CKNG-FM) Edmonton, 103.1 Fresh Radio (CFHK-FM) London and Fresh Radio (CKWS-FM) Kingston got into the holiday spirit last Friday (Nov. 16). 93.1 Fresh Radio (CHAY-FM) Barrie will flip Thursday, Nov. 22; and Peggy @ 99.1 (CFPG-FM) Winnipeg on Friday, Nov. 23. 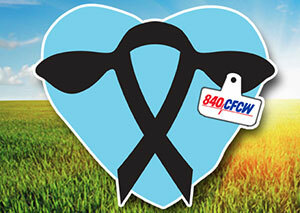 840 CFCW Camrose/Edmonton recently held the first ever Calves for Cancer fundraiser in support of Alberta’s Cross Cancer Institute. The original goal was to get 50 calves donated and when they went to market, 100 per cent of the proceeds would go to the Cross in celebration of the institute’s 50th anniversary. In the end, 74 calves were donated and over $168,000 was raised. CrossTalk, from the desktop studio of Humber College professor Paul Cross, has marked its 10th episode. Part commentary, part media analysis, CrossTalk explores issues around radio and mass media coverage. 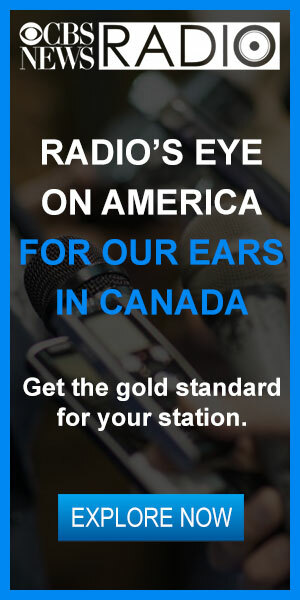 It airs on 96.9 FM Radio Humber, online at radio.humber.ca or can be heard via the RadioPlayer Canada app. 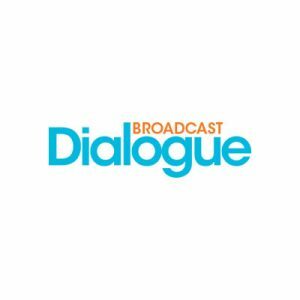 On this week’s episode of Broadcast Dialogue – The Podcast, we talk with a group of Humber College students who conducted research this past summer, under the direction of radio veteran Alan Cross, on the listening habits of millennials and what the future of radio targeted to that age demographic might look like. Steph Byles, Jeff Pastor and Nicole Swanson had the opportunity to present “Millennial Radio” at the recent Ontario Association of Broadcasters conference, during the Future of Content panel. Julio Pastora, 41, on Nov. 19. Pastora started his broadcasting career with CKNW-AM Vancouver in 2000, while still a student in the Journalism, Radio, and Television Broadcasting program at BCIT. He worked as a producer on The Bill Good Show, Moneytalks, The Agenda, The World Today and Nightline BC, among other programs. After getting caught up in the 2006 wave of layoffs at Corus Vancouver, he moved over to Global BC where he served as a news producer, working for both Global National and the affiliate newscasts. Since late 2015, Pastora had been working for the BC government as an events coordinator and most recently as an online content editor. With a keen interest in public service, he worked on several election campaigns at the local, provincial and federal levels, in addition to time with the Premier’s Office and the Ministry of International Trade. 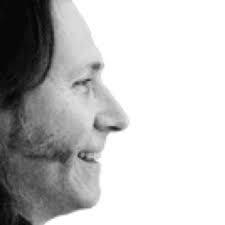 Michel Pepin, 57, on Nov. 19 of pancreatic cancer. 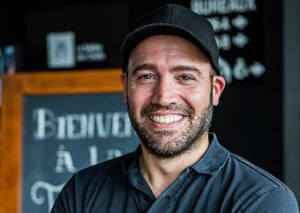 The son of Quebec trade unionist Marcel Pepin, Michel Pepin began his career as a journalist on community television and radio in Amqui, in the Bas-Saint-Laurent, in 1983. He made a two-year detour to serve as political attaché to Federal Min. 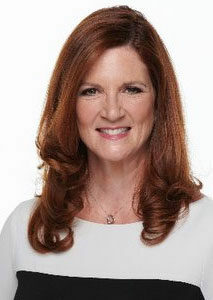 Monique Vézina, before returning to Radio-Canada television and regional radio in Ottawa from 1988 until 2000. He also taught journalism at La Cité College. From 2000 to 2010, he worked as a journalist and radio host at Radio-Canada Montreal, before moving to the National Assembly as a political analyst and parliamentary correspondent. Pepin was diagnosed with pancreatic cancer in Oct. 2015. 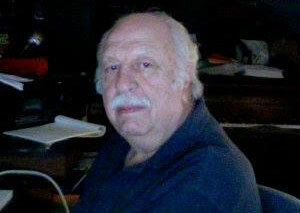 Randy Tieman, 64, unexpectedly on Nov. 16. 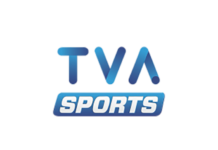 Tieman had a 34-year career with CTV Montreal, up until this past June, when he was part of layoffs at Bell Media that saw the CFCF-TV sports department eliminated. Hailing from the small town of Exeter, ON, Tieman started his radio career at CKY Radio and TV in Winnipeg after attending Fanshawe College, going on to work with CFGO-AM Ottawa and then CJOH-TV. He landed at CFCF Radio in Montreal in 1983. 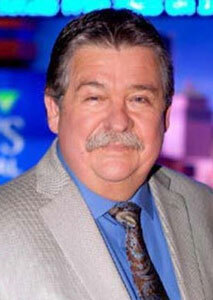 After moving over to the television side, he served as sports director for both the Ottawa and Montreal stations. 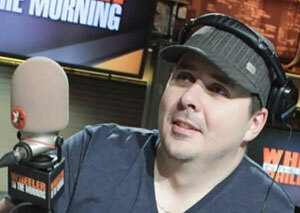 He also hosted a radio show on Team 990 (now TSN 690) between 2009 and 2012. Tieman had previously cheated death three times, surviving a quintuple bypass, Stage 4 Hodgkin’s lymphoma and meningitis within an 18-month period in the mid-1990s. The Montreal Canadiens paid tribute to Tieman during Monday night’s game, with photos of the broadcaster shown on the jumbo screen during the first period of play. 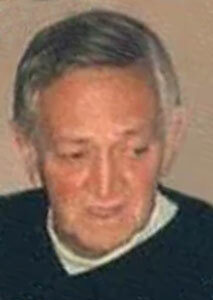 George Jonescu, 84, on Nov. 16. 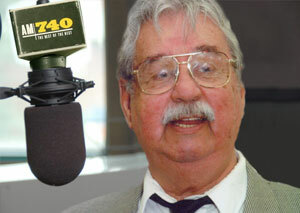 Jonescu had a nearly 70-year career in broadcasting between stations in Montreal, Sault Ste. Marie, Barrie and Toronto, spending 25 years on CJIC-AM Sault Ste. Marie. 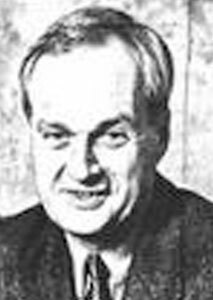 Lloyd Walton, who was in the art department at CJIC-TV during Jonescu’s time there recalls “CJIC Radio and TV personalities were regarded as “stars” in the community and George was a star. He exuded a love and knowledge of the music he presented and when assigned news or sports commentary for both radio and television, he was authoritative. He had a passion for the music he played. He’d be in intense debates about the merits of various musicians and styles which made for entertaining and informative radio.” Jonescu took a break from radio in the late 1970s to work for the Sault Ste. Marie convention bureau before eventually returning to the medium. A lover of jazz, he hosted Big Band Saturday Night on CHAY 93.1 FM Barrie, going on to be part of the original team that launched AM 740 (CFZM-AM) on Jan. 8, 2001. He wrapped up his career as the host of Big Band Sunday Night on Zoomer Radio. His final show, which had been pre-recorded three days earlier, ran on Sunday, Nov. 18. Jonescu was also community-minded and gave his time to a number of charitable causes including mental health. Read colleague Art Osborne’s tribute here. Rick Meaney, 71, on Nov. 15. Meaney graduated from Loyola College with a Bachelor of Commerce in Economics in 1970, and worked at BP Oil and Revenue Canada before moving to Calgary and starting Country 105 with R.E. Redmond. 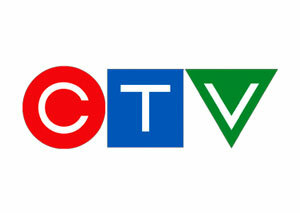 The station signed on in July 1982 and was sold to Shaw in 1997, and assumed by Corus Entertainment two years later. 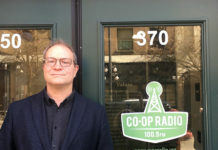 Meaney was the station’s general manager for over 18 years and in his final two years in broadcasting was GM for Corus Radio Calgary, overseeing Country 105 (CKRY-FM), CHQR 770 and The Peak 107.1 (CFGQ-FM). After retiring from the radio business, Meaney and his wife spent much of their time in Arizona. Bob MacDonald, 69, on Nov. 4. MacDonald’s on-air career began at CJIC-AM Sault Ste. Marie delivering news and weather. He brought his talents to Thunder Bay in 1977, where he became an announcer with 580 CKPR. He also spent several years delivering the weather on the local television news, where he was known for both his humour and dexterity, able to write temperatures on the weather board with both hands as he delivered the nightly forecast. MacDonald devoted much of his time to local charities over the years, including the Cystic Fibrosis Telethon and Easter Seals. Fred Napoli, 82, on Nov. 9. Napoli’s rich baritone voice was first heard in 1960 on CJOY Guelph, with his career taking him to CHML Hamilton, and then Toronto stations CBC, CKFM and CFRB, including a three-month stop at CHOW Welland along the way in 1962. While at CHML, he hosted the station’s Nightcap program and a series called “Journey to the Unexplained,” which started Napoli’s foray into the storytelling he would become known for. While hosting the overnight show “Music Till Dawn” at CKFM, he began to include his own poems and short stories that would become the hallmark of his career. After a brief stint at CBC, he returned to CKFM in 1979 to host late-night, 90-minute talk show Toronto Tonight, then bounced back to the public broadcaster in 1981. Napoli joined CFRB in 1986 and built a strong late-night following up until 1993 when the station flipped to the Newstalk 1010 format. In addition to his work on radio, Napoli voiced more than 400 documentaries, many for TV Ontario and the National Film Board. His autobiographical book of essays “Re-Inventing Myself” was first published in 1988 and had three printings. He continued working on projects from bread commercials to narrating History Channel series “Nazi Hunters.” Napoli also composed his own music on his restored 1883 Mason & Risch piano which he rescued in parts from Hamilton’s Grand Opera House before it was demolished in 1961. Jeffrey Fry, 92, on Nov. 6. Born in Westcliff-on-Sea in southeast England, Fry grew up during World War II where as a school child he was evacuated during ‘The Blitz’ and relocated to several locations in England and Wales. After enlisting, he moved to Bermuda in the mid-1950s where he worked as a journalist for the Royal Gazette. It was in Bermuda that he met his Canadian wife who brought Fry to Oshawa, ON in 1958. He briefly worked at the Oshawa Times before moving on to the CBC newsroom. He was recruited in 1960 to join new TV station CFTO as a journalist which later expanded into CTV where he became the first producer of W5. For a short period of time, Fry served as a producer for the National News and then became associate producer of new consumer lifestyle show ‘Live It Up,’ assisting with its successful launch. Dan Tohill, on Oct. 27. 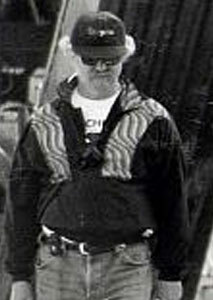 Tohill was a key grip on The Beachcombers for many years, in addition to working as a studio production assistant at CBC Vancouver. He also worked as an assistant director and actor, known for Harsh Realm (1999), Past Perfect (1996) and Abducted II: The Reunion (1995). Bob Hooper, 79, suddenly on Oct. 17. Hooper worked for over 40 years at CHML Hamilton, starting in 1961. 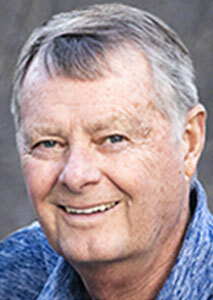 During those four decades, he was the voice of early morning news, hosted talk shows, produced music shows, and eventually served as the station’s vice-president. For several years he worked on the station’s Hamilton Tiger Cat’s broadcasts as a statistician and producer, eventually becoming the play-by-play voice for the last four years of his career before retiring in 2001. He later served as the team’s media relations director for two seasons, up until 2004. Myrtle Fowler Gallup, 97, on Oct. 31 at ­Sunnybrook Veterans’ Residence in Toronto. 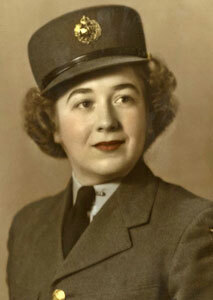 Born in Quebec’s Eastern Townships, Fowler Gallup attended McGill’s Faculty of ­Education and taught in a rural school in Danville, QC until the call of WWII enticed her to join the RCAF. At war’s end, she married Merrick Gallup, and started a family on their farm in Danville. Her love of writing led to book reviews and columns in the Sherbrooke Daily Record which caught the attention of CBC Radio Montreal where she was hired to do live broadcasts on Radio Noon, reporting on the challenges and ­pleasures of rural life, including live reports from Expo ‘67. In her late 50s, she wrote and published two children’s books and a short story collection, one of which was featured on Peter Gzowski’s radio show and included in his book “About this Country in the Morning.” In her 70s, she became an accomplished oil and watercolour artist, with successful exhibitions in Quebec and Ottawa, including at the ­opening vernissage of the Bombardier Museum. She moved to Toronto in her 80s and lived at the Performing Arts Lodge among her fellow artists and writers. 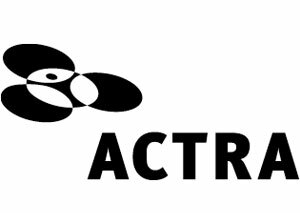 The Alliance of Canadian Cinema, Television and Radio Artists (ACTRA), Canadian Media Producers Association (CMPA) and the Association québécoise de la production médiatique (AQPM) have reached a new three-year Independent Production Agreement (IPA). The IPA establishes the terms, conditions and rates for on- and off-camera performers engaged on English-language productions in Canada, excluding B.C., which operates under a separate collective agreement. The current 2016-18 agreement is set to expire Dec. 31. The agreement in principle will now be presented to the ACTRA membership and the CMPA and AQPM’s respective Boards of Directors for ratification. Quebecor subsidiaries MELS and TVA, along with the Quebec Film and Television Council (QFTC), in conjunction with the Conseil québécois des événements environmentally responsible (CQEER), have launched Rolling Green, an action plan to accelerate the shift towards environmentally responsible audiovisual production in Québec. 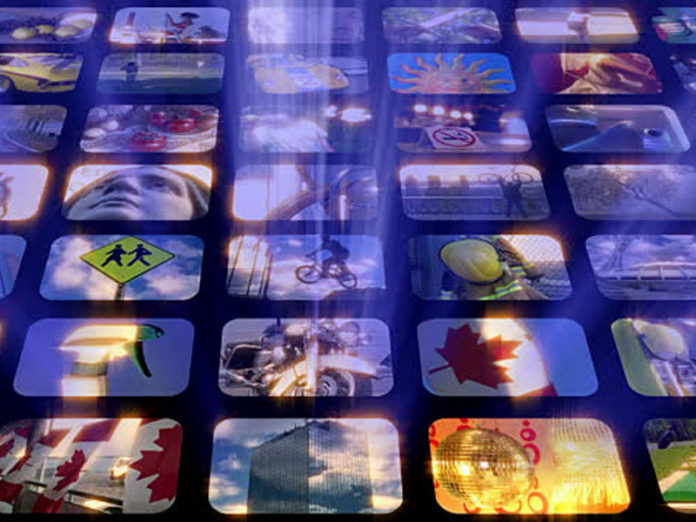 The environmental action plan is aimed at reducing the Québec film and television industry’s environmental footprint and make it a leader in green audiovisual production, joining the ranks of major studios in Western Canada, the U.S., France and Australia. 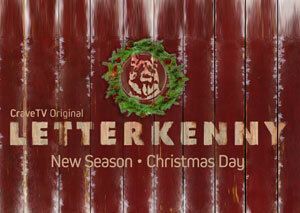 A Letterkenny Christmas: The Three Wise Men will stream on Crave on Nov. 23, followed by a fresh six-pack of episodes launching Christmas Day. New and familiar faces make appearances around town including guest stars Sarah Wayne Callies (The Walking Dead) and Jonathan Torrens (Trailer Park Boys) as Mennonite parents Noah and Anita Dyck; and the return of Sarah Gadon as mysterious lady-skid Gae. Production is currently underway on the next set of episodes, which sees The Hicks launch their own public access call-in show. Set to debut on Crave in 2019, Jacob Tierney returns to direct all episodes and reprise his role as fan-favourite Christian leader Glen. 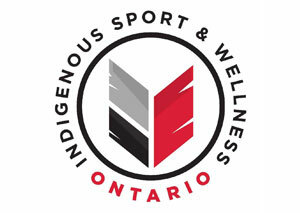 Indigenous Sport & Wellness Ontario (ISWO) and CBC have reached a five-year agreement making the public broadcaster the organization’s premiere media partner. Last year’s partnership between CBC/Radio-Canada and the Toronto 2017 North American Indigenous Games, hosted by ISWO, resulted in more than 100 hours of live and on-demand coverage. CBC Sports has committed to provide a minimum of 100 hours of coverage over the Masters Indigenous Games (2021, 2023), and the Ontario Indigenous Summer Games (2019, 2021, 2023). CBC Radio and CBC Arts will also produce content telling the stories of the participants in ISWO programming who have used sport as pathway to wellness. 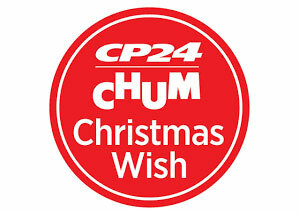 CP24 and CHUM 104.5 Toronto are counting down to Christmas with the 52nd annual CP24 CHUM Christmas Wish campaign. Running through Dec. 24, the stations are collecting new, unwrapped toys and financial donations at RBC branches across the GTA; Bell Media Studios (299 Queen St. W., Toronto); the CP24 CHUM Christmas Wish Warehouse (1366 Blundell Rd., Mississauga); and at the iHeartRadio Jingle Ball (Scotiabank Arena on Sunday, Dec. 2). CP24 will report live from RBC Queens Quay and Lower Jarvis St. this Friday, Nov. 23 from noon – 1 p.m. ET. CTV Atlantic will broadcast the 55th Annual Christmas Daddies Telethon on Dec. 1. The station’s longstanding holiday tradition features a mix of CTV personalities and performances from Maritime musicians across all three provinces. Hosting this year in Halifax are CTV Atlantic anchors Steve Murphy, Maria Panopalis and Jayson Baxter, alongside meteorologist Kalin Mitchell. They are joined by CTV News AT 5 reporters Heidi Petracek and Ana Almeida, while CTV Morning Live host Cyril Lunney and reporters Jonathan MacInnis, Kate Walker, and Laura Lyall co-host from the CTV studio in Moncton, NB. CTV National News anchor Lisa LaFlamme joins the broadcast as a special guest contributor this year, hosting from Cape Breton alongside CTV alumnus Jeff Hutcheson and CTV Atlantic’s Heather Butts, Kyle Moore and Ryan MacDonald. Comedian Jimmy the Janitor hosts in Charlottetown. CBC Vancouver will host its annual Open House & Food Bank Day on Dec. 7. 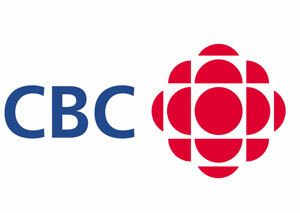 Guests have the chance to meet CBC Radio One hosts Stephen Quinn, Gloria Macarenko, Michelle Eliot and Sheryl MacKay, as well as the new CBC Vancouver News team – Mike Killeen, Anita Bathe, Johanna Wagstaffe, Dan Burritt, and Lien Yeung. Ian Hanomansing and Andrew Chang of The National and Erica Johnson of Go Public will also be in attendance. Radio One will broadcast live from 6 a.m. to 6 p.m. Last year, British Columbians donated $802,049 with the event raising more than $8 million to date for Food Banks of BC. The TIFF–CBC Films Screenwriter Award is inviting applications for 2018. The award provides $15,000 to a Canadian writer of an outstanding feature-film screenplay, supporting them to develop their project. The award is open to experienced screenwriters who are female, or Indigenous, or belong to a visible minority, or identify as having a disability. Applicants must have a writer or director credit on a feature film that has been presented at one of the award’s recognized festivals. 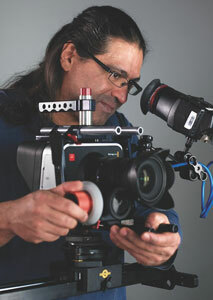 The winner of the 2017 Award was Jorge Manzano, for his screenplay The Strike. Applications close Dec. 5. Find more info here. Netflix has acquired the first season of Citytv original series Bad Blood, which will launch internationally on the streaming platform on Dec. 7. Citytv is currently airing Season 2 of the mob drama, which is based on the life and death of Montreal crime boss Vito Rizzuto. 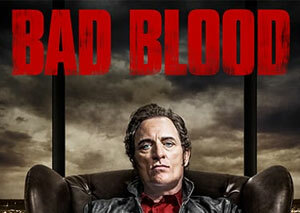 The series, which shoots in Sudbury, ON, stars Kim Coates. A third season has yet to be announced. The Government of Canada is extending a refundable tax credit to qualifying news organizations that “produce a wide variety of news and information of interest to Canadians.” The credit, available to both non and for-profit newsrooms, will apply to the labour costs associated with producing original content. An independent industry panel will be struck to determine eligibility, with the credit taking effect Jan. 1, 2019. Non-profit journalism organizations will also be able to issue tax deductible receipts to digital news subscribers. The measures will cost a total of $595 million over five years. 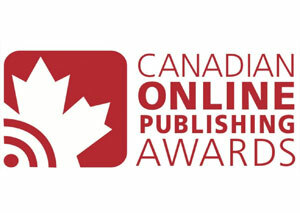 The Canadian Online Publishing Awards were handed out Nov. 14 in Toronto, recognizing outstanding contribution to online publishing. In the Media category, RDS was the big winner claiming eight awards including Gold for Best Publication, Best Podcast, Best Blog Column, Best Sports Feature, Best Video Content,and Best Use of Social Media. Independent, Victoria-based environmental-focused news site The Narwhal, which launched just six months ago, earned four awards, winning both Gold and Silver for Best Photojournalism and Silver for Best Publication. In addition to Media, awards were also handed out in Academic, Business and Consumer categories with HuffPost Canada and HuffPost Quebec earning a total of five nods across all four. Find the full list of winners and finalists here. 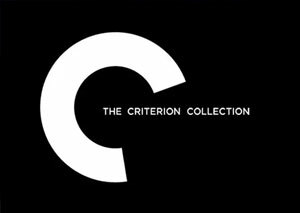 The Criterion Collection plans to launch a standalone streaming service in the U.S. and Canada in spring 2019. The move follows WarnerMedia’s decision to shutter streaming service FilmStruck, which carried the Criterion library but wasn’t available in Canada. Subscription rates are currently listed at $10.99/month (USD). Disney is also gearing up to launch its Disney+ service next year which would see Hulu programming made available in Canada for the first time following Disney’s planned acquisition of Fox. Hulu is the third most popular streaming service in the world, trailing Netflix and Amazon Prime Video. Corus Entertainment says the premiere of its #OneDirtyDish live Twitter series reached 78,000 viewers. Produced by so.da, Corus’ in-house social content studio, the first installment of #OneDirtyDish streamed live on Nov. 15, with the second installment set for Thursday, Nov. 29 at 9:30 p.m. ET. Hosted on @FoodNetworkCA‘s Twitter page, the series features Chef Stefano Faita creating an easy weeknight meal in one pot, integrating Knorr® products. Audiences can influence elements of the recipe by voting via Twitter polls. Final recipes are available after each stream at foodnetwork.ca. Lilly Singh, arguably Canada’s biggest YouTube star, is taking a break. In her final video, Singh says she’s stepping away from the constant pressure to produce content to focus on her health. One of the first stars of YouTube’s original content initiative in 2016, she had amassed 14 million subscribers. 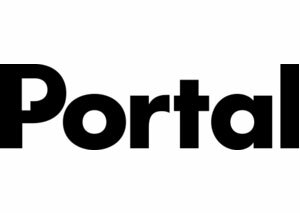 Portal, the first video and audio platform offering person-to-person payments, has launched. 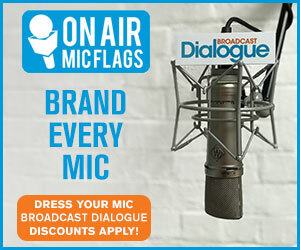 The platform is free to join and features the ability to share video and audio of any length. Creators can optionally add a price to what they upload of between $0.01 and $100, or choose to keep their content free. 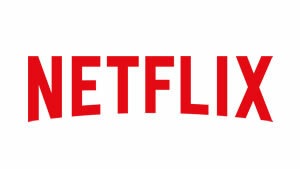 Netflix is testing a low-cost, mobile-only plan in Malaysia. The trial, which costs about half the price of a regular subscription, limits streams to standard-definition video. It’s unclear if the streaming giant has plans to expand the cheaper, mobile-only option outside of Asia. 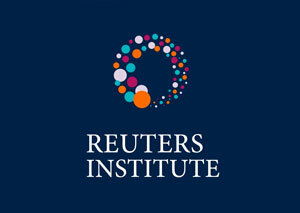 The Reuters Institute for the Study of Journalism has released The Future of Voice and the Implications for News which finds that consumers don’t love news on smart speakers. The study looked at smart speaker usage in the UK, U.S. and Germany, finding that news consumption on the devices is lower than might be expected, with most usage focusing on very short news briefings. Many users are unaware of the wider range of options around news, including how to access their favourite brand. Others are underwhelmed by existing content, which is mostly reversioned from radio or print. For those who are not using smart speakers for news, the main reason cited was the ease of accessing news on other devices (52 per cent U.S., 51 per cent UK). Many users also complained about the quality of news briefings, how often they are updated, and about production quality. Some users also said briefings are too long and would prefer updates of no longer than a minute. 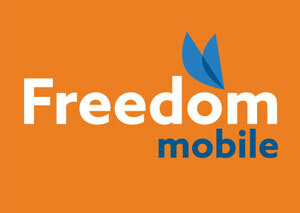 Shaw Communications’ Freedom Mobile has launched a limited-time offer that gives customers 100 GB of bonus LTE data, in addition to their monthly data allotment. The bonus data can be used anytime at no additional cost. Additional data from the 100 GB Big Binge Bonus is automatically applied once a customer exceeds their monthly allotment. The deal is available for new and existing customers when they sign up for a Big Gig plan starting at $60 per month with a new handset on a two-year term. 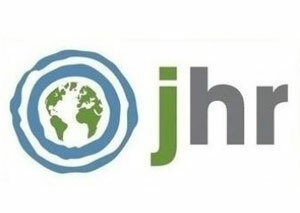 Journalists for Human Rights (JHR) is partnering with Seneca College to offer a new tuition scholarship, to be funded by JHR and John Honderich, for a student who identifies as First Nations, Métis or Inuit, to pursue journalism at Seneca. The scholarship will cover tuition costs for a student studying Broadcasting – Radio or Television; Documentary and Non-Fiction Media Production; Journalism; Photography; or Pre-Media (Media and Communications Fundamentals). The student must be entering their first year of studies at Seneca. The deadline to apply is Dec. 4 for a program starting in January. For more information, see JHR’s website or click here. 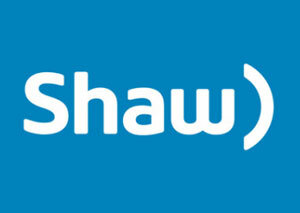 Shaw Communications Inc. has announced the first of its Shaw Kindness Sticks Youth Grant recipients aimed at kickstarting projects in Canadian schools that encourage positivity, respect and inclusivity. After receiving over 150 submissions from across Canada, Simran Grewal and Kate Choi of New Westminster Secondary school in New Westminster, BC are the first of 10 finalists to receive a grant of up to $5,000. Grewal and Choi have used the funds to expand the Best Buddies Club at their school, providing opportunities for students with diverse learning needs to make friends and teach others about the importance of inclusivity and acceptance. The remaining grant recipients will continue to be individually announced online throughout fall of 2018. 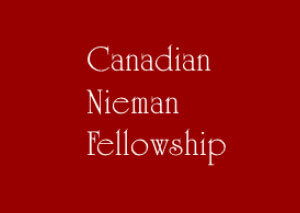 The Martin Wise Goodman Canadian Nieman Fellowship is open for applications until Dec. 1. One Nieman fellowship for a Canadian journalist to study at Harvard University will be awarded to a mid-career journalist to broaden their intellectual horizons. The Fellowship will be granted for the academic year (September to June) and will include tuition to Harvard University and a stipend for living expenses. More info here. 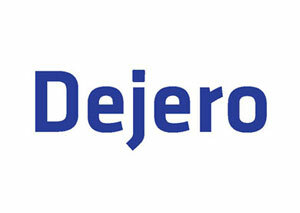 Dejero will be awarded with a Technology & Engineering Emmy Award. The Waterloo, ON-based broadcast tech company is an innovator in cloud-managed solutions that provide video transport and internet connectivity while mobile or in remote locations, Dejero is being recognized for “excellence in engineering creativity” in the category of Pioneering Reliable Transmission Method for Live Contribution and Distribution TV Links. Read more here. AdsWizz and global audio marketplace AdWave are now integrated with Google Display and Video 360. The integration opens up Pandora, the largest music streaming provider in the U.S., to audio ad buys via Google Display and Video 360 as AdsWizz AudioMax powers Pandora’s programmatic buying solution. With more than 68 million monthly listeners, Pandora represents two-thirds of all digital audio inventory, making it the largest publisher of digital audio ads in the U.S. AdsWizz says 25 per cent of consumer time spent on mobile devices is going to music, podcasts, and other audio, with the average American spending 4.5 hours a day listening to streaming media. The audio ad industry grew nearly 40 per cent in 2017.